Chiller equipment’s which is designed for applications that require high cooling capacity are external circulation featured models. Liquids in baths (water, alcohol, antifreeze, etc.) are sent to different cells and devices with an external liquid circulation pump. The liquid which loaded heat where it goes and returns to the bath is sent to the system with cooling again. Coolers which produced by Labo are classified in the class of mini chiller devices and do not cause high noise and heat like industrial chiller devices. 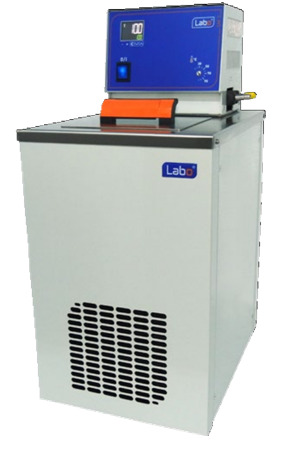 Labo chiller devices are preferred for their cooling abilities but they are equipped as a heater when it’s needed.